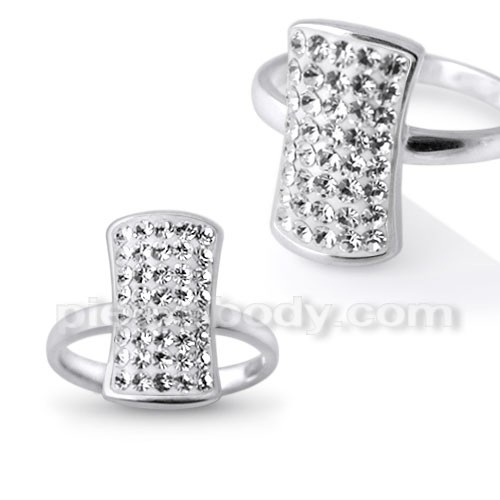 The 925 sterling silver rings look fantastic with rhinestones. It adorns the center and the sides of the ring. The split shank has decorations that are intricate designs that accentuate the jewelry. Also, the beauty of the rhinestone forms the centerpiece of the ring. This ring is an example of fine craftsmanship. The way the small stones protrude from the center enhancing the appeal of the center stone and the intricate embellishments beautify the split shank, it signifies the work of an experienced and visionary craftsman. The grand feeling evoked by this ring will definitely leave a mark on the mind of many fashionistas. However, this grandness does not come at a grand price. You do not have to worry about emptying your pocket to own this opulent piece of jewelry. It also comes at a very reasonable price, depending on the type of stone. 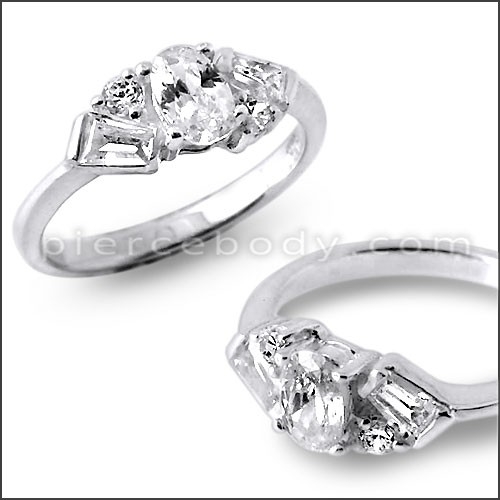 The design, style, and make the ring perfectly suit people who love to wear rings with slightly vintage feeling. This ring, however, comes with a modern twist to keep it trendy. You can either pair it up with an evening dress for a party or even a wedding ceremony or turn the heads. The ring comes with 925 sterling silver flawless finish alloy. It is a very high quality rendering certain good qualities to the ring. The ring is durable so you do not have to worry about your investment. It is also scratch resistant. However, you have to note one thing; silver tends to lose its luster over a period of time. So, clean it using a soft cotton cloth at frequent intervals. In case it accumulates dirt on the silver ring which is quite a possibility from wearing it regularly, you can use a phosphate. IT is a free detergent to wash off the dirt from silver. Do not forget to use warm water while cleaning it. You can also prepare a paste of baking soda and water to apply on the dirt and rinse it well afterward. Make sure you also dry it with a clean cloth. In case it accumulates dirt on the 925 sterling silver which is quite a possibility from wearing it regularly, you can use a phosphate. IT is a free detergent to wash off the dirt from silver. Do not forget to use warm water while cleaning it. You can also prepare a paste of baking soda and water to apply on the dirt and rinse it well afterward. Make sure you also dry it with a clean cloth. Make sure that you do not wear your ring on a regular basis and store it in a place which is clutter free. This will ensure long life to the sparkling silver piece. Depending on whether the rhinestone is made from glass or crystal you can apply a bit of alcohol to keep it shining. Piercebody brings this gorgeous full finger rings for all those ladies who love fashion and treat it as an extension of their existence.